Just set our Greenhouse Vent Opener to the temperature required (between 15° and 25°C) and it will automatically open your window when that temperature is reached. 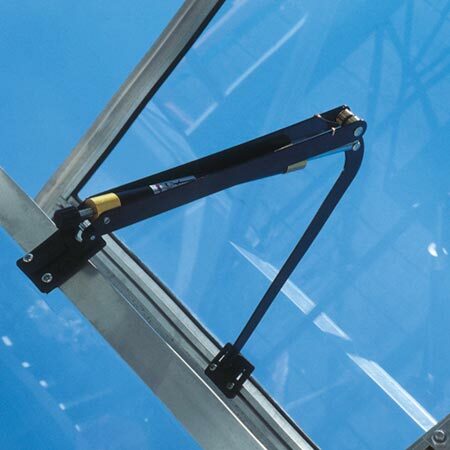 With an attractive, corrosion resistant body, it lifts a maximum weight of 7kg to a height of 35cm (14"), with minimum projection into the greenhouse, and is easily fitted to most vents. Automatic ventilation for your greenhouse!